An unusual cluster of February twisters struck across Oklahoma, destroying homes, downing power lines and killing eight people in a town in the southern part of the state. Emergency responders searched into the night in the hardest-hit community of Lone Grove, where eight people were killed Tuesday and 14 people were seriously injured, said Oklahoma Department of Emergency Management spokeswoman Michelann Ooten. She said the National Guard was being sent to the area to help local authorities. "Our thoughts and prayers are with the people of Lone Grove and all of the other Oklahoma communities that have been impacted by the latest wave of severe weather," the governor said. "We know we have lost many lives in Lone Grove and we pray the losses do not rise any higher." Two of the victims were so seriously injured that they were transported to Dallas' Parkland Hospital since it is a Level 1 Trauma Center and could offer resources that other hospitals could not. Officials did not disclose the conditions or the names of the patients. Buildings were damaged or destroyed throughout the town of about 4,600, some 100 miles south of Oklahoma City, said Chester Agan, assistant emergency manager for Carter County. A twister also damaged homes and businesses in the Oklahoma City metropolitan area, but only three minor injuries were reported. 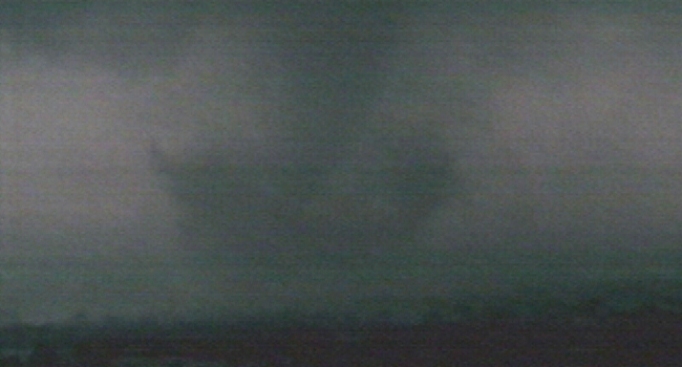 A tornado also was reported in north-central Oklahoma and six homes were destroyed near the Oklahoma City suburb of Edmond. Meteorologists were being sent out to survey the damage Wednesday, said Doug Speheger, a meteorologist with the National Weather Service in Norman. More severe weather was possible Wednesday as tornado watches were issued for Mississippi, north-central Louisiana, southeast Arkansas and parts of Missouri and Tennessee, the weather service said. In Edmond, a body shop and the vehicles inside were twisted into a ball of metal. In northwest Oklahoma City, the twister apparently developed near Wiley Post Airport and then headed northeast, damaging several shopping centers and restaurants at a major intersection. That twister then moved through the Boulder Ridge Apartments, a spread of two-story units surrounding a courtyard. Shawn Tiesman, 33, moved to the complex from Iowa about four months ago and got his first taste of Oklahoma's notorious weather but without the same protection of his former home. He invited his upstairs neighbors into his apartment and then used his futon mattress to barricade them into a walk-in closet. A large section of roof was blown off an apartment building and part of a wall was blown off another. One apartment had a gaping hole knocked in its side. Parked cars were smashed into each other. Tornado sirens were sounded in the area but some residents were still caught off guard. Election board secretary Doug Sanderson said without electricity, election workers couldn't count the ballots. Election materials were locked up overnight and workers planned to start the process on Wednesday, Sanderson said. Tornadoes are most numerous in Oklahoma in the spring, but can occur at any time, weather service meteorologist Rick Smith said. Elsewhere, wind of more than 60 mph caused dust storms in western Texas that reduced visibility so much some roads were closed. The weather service reported wind speeds reached 88 mph in parts of Texas, leaving behind downed trees and power outages late Tuesday night. In the closing minutes of the Dallas Mavericks game Tuesday night, announcers suggested that fans stay in the building while the storms were passing through the downtown area. An empty 18-wheeler was flipped over by wind gusts as high as 70 mph in Bruceville-Eddy, a town of about 1,100 people nearly 106 miles south of Dallas. "He was driving down the road and a gust of wind blew him over," Bruceville-Eddy Fire Chief Randall Sevey told The Associated Press. "He was just shook up."